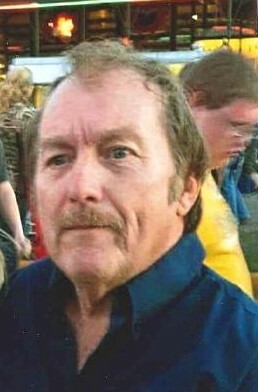 Glenn Keith Gamblin, 68, went home to be with the Lord on March 23, 2019. He was born on September 16, 1950 to Walter and Dorothy Gamblin in Evansville, Indiana. Keith loved to create things out of wood with his hands and spending time outside. He spent most of his life as a carpenter. He loved woodworking, painting, and talking to everyone. Keith enjoyed talking with his friends over coffee at McDonalds. He also loved spending time with his grandchildren. Keith was a long time member of the Bible Center here in Evansville. He loved the Lord with all his heart and fought the good fight for the Lord. His faith kept him going. Keith is survived by his children Chad Gamblin and Holly (Josh) Seitz; grandchildren Kailie Gamblin, Dominic, and Zekey; and his siblings Al (Sissy) Gamblin, Wally (Jo) Gamblin, and Marcia (Roger) Jones. Keith was preceded in death by his parents; his brother Robbie Gamblin; and his nephew Chris Gamblin. Visitation will be from 10:30 a.m. until time of service at 12 p.m. on Friday, March 29th at Sunset Funeral Home with a burial to directly follow at Sunset Memorial Park.